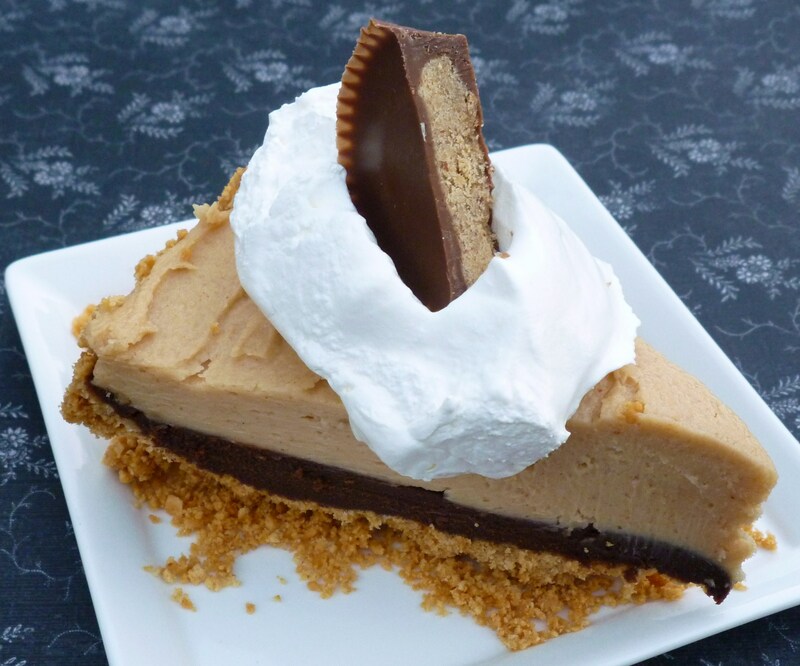 The name … Inside Out Peanut Butter Cup Pie … translation – peanut butter on the outside and chocolate on the inside … like a Reese’s Peanut Butter Cup turned inside out! 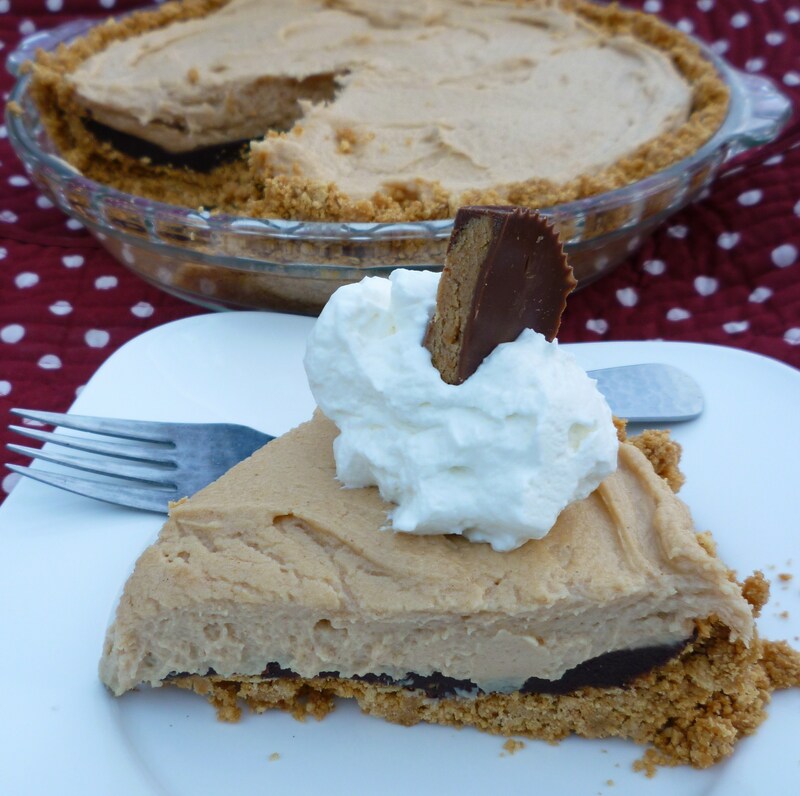 I have been promising the hubby for sometime that I would make a peanut butter and chocolate pie … of course, he kept reminding me about it. A few weeks ago, I hid … under lock and key … some Nutter Butter cookies while I was making the Nutter Butter Acorns. All of the other ingredients were in the fridge and pantry … finally, time to make the pie! 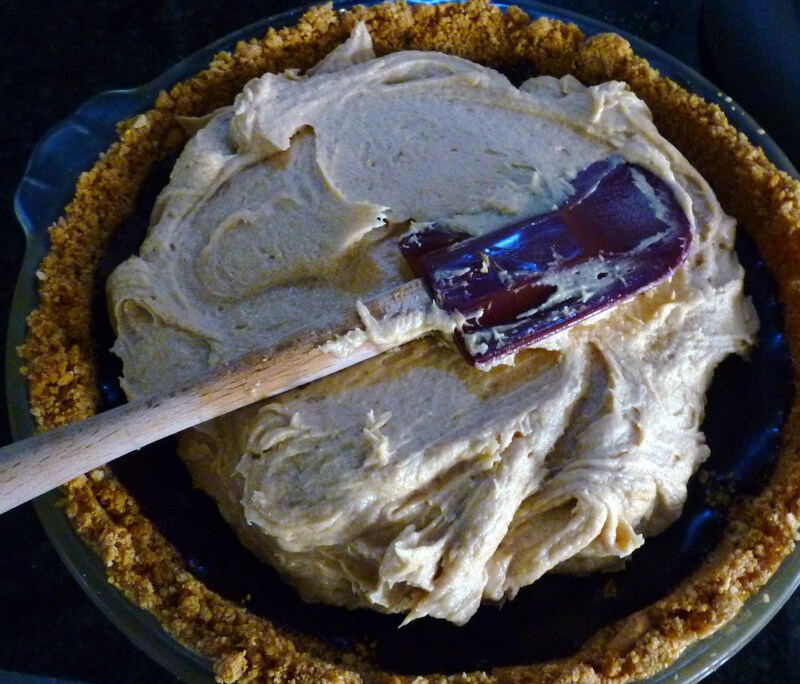 Let me give credit to the other recipes that I used for reference … Chocolate Peanut Butter Pie from Ree Drummond and Peanut Butter Cup Pie from Lauren Wiesenthal. Chill the medium bowl and beaters (that you will use later) for making whipped cream. Make the crust – Place the cookies in a food processor and pulse until they are crumbs. Add the melted butter and pulse for 20 seconds, scrape the sides, pulse for 10 more seconds. If you don’t have a food processor, try using a ziptop bag and rolling-pin. Place the crumb mixture in the pie pan, use your fingers or back of spoon to press the crumbs on the bottom and sides evenly. Chill while you make the ganache. Make the chocolate ganache – Place the chocolate chips in a small/medium heatproof bowl, set aside. Pour 6 fluid ounces (3/4 cup) of the cream into a small saucepan, return remaining cream to the refrigerator. Bring cream to a simmer, stirring occasionally. Pour the hot cream over the chocolate chips and let it stand for two minutes. Stir until smooth. 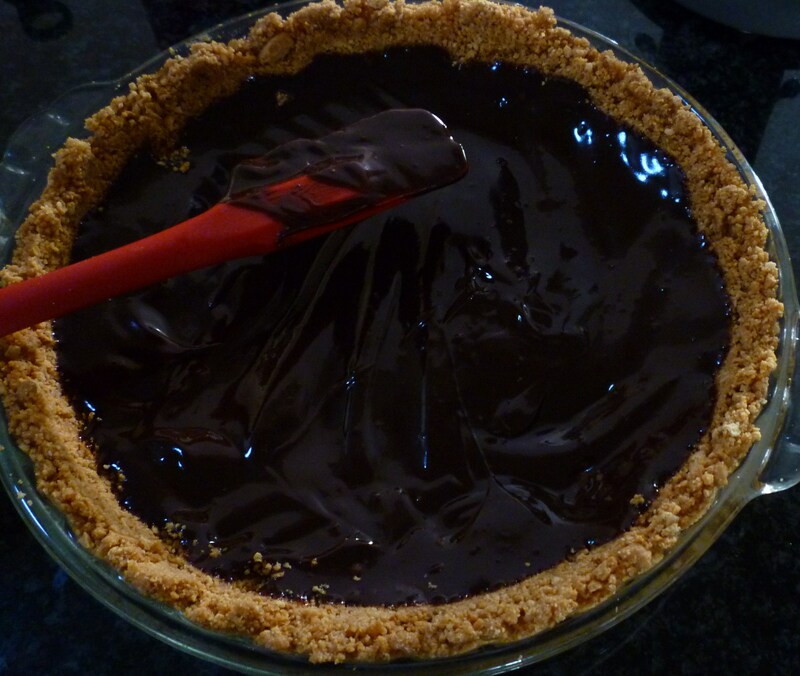 Remove crust from the fridge, pour chocolate ganache into the crust and gently spread evenly. Chill until set (at least 15 minutes). Make whipped cream – Pour remaining cream into chilled bowl, add 1/4 cup powdered sugar and beat until peaks form, scraping sides of bowl as needed. Set 1 cup aside for peanut butter filling. Refrigerate remaining for garnish. 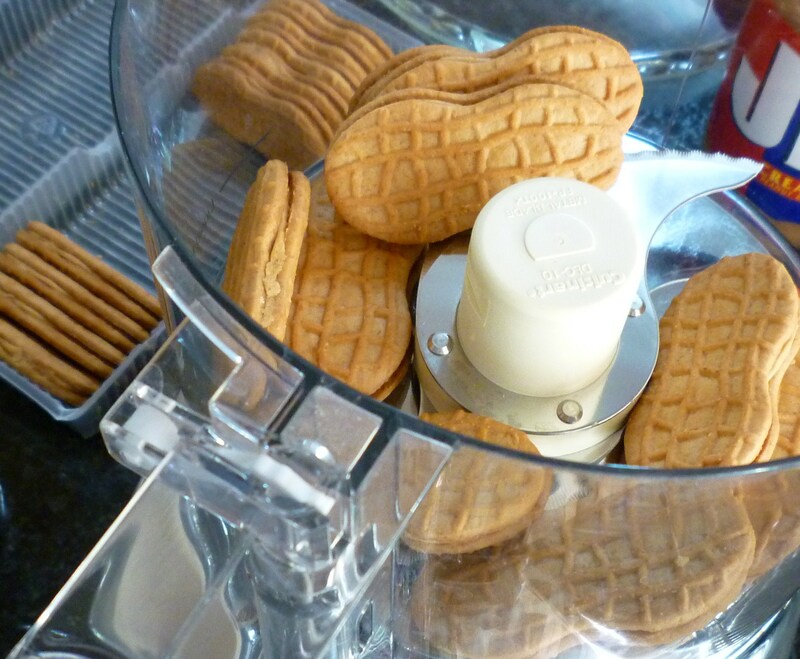 Make peanut butter filling – Use an electric mixer fitted with paddle attachment. Beat peanut butter and cream cheese until smooth. Add remaining 1 cup powdered sugar and beat until smooth, add 1 cup of the prepared whipped cream and beat until combined. Pour over (firmed) ganache and spread evenly. Chill 1-2 hours before serving. Garnish with remaining whipped cream and peanut butter cup candy. Makes 12 servings. I have enter this pie recipe in Tidy Mom’s Love the Pie Party. Visit Tidy Mom and you will see so many amazing pies! Do you like peanut butter and chocolate? I ♥ your comments! Oh, Yum. This pie looks heavenly. I can’t wait to make this sweet baby up. Three out of three… you’ve hit the jackpot by winning points from all three of your guys. This looks like the perfect pie. Save me a piece, Brenda! Hope you are bringing this to Thanksgiving. As you know I am like my brother and LOVE anything with PB, and when you add chocolate, well there are no words to say. This sounds sooooo yummy, guess I’ll have to make this one. We are a PB and chocolate family. Oh my!! I love this so much! What time do I come for Thanksgiving? This pie looks amazing!!! Thank you! Thanksgiving dinner will be at 2:30pm … are you bringing the pie? 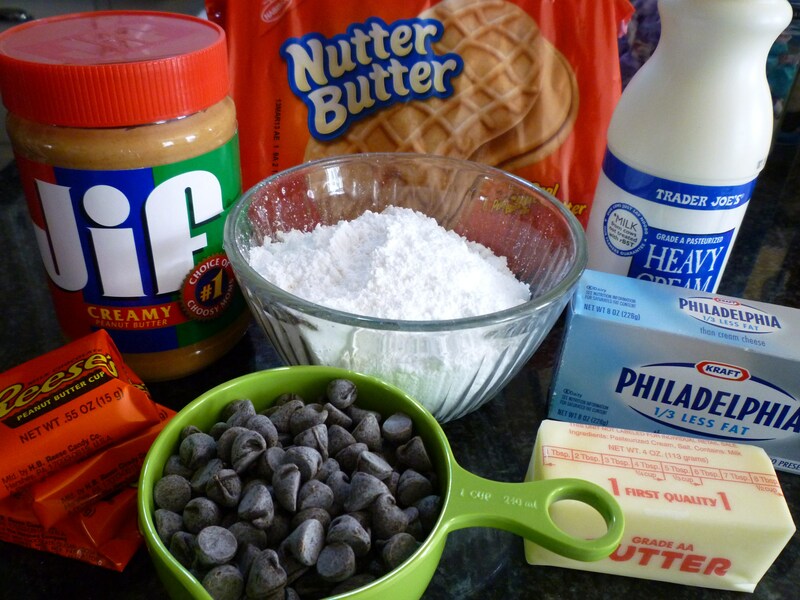 I agree with your Hubby…peanut butter and chocolate were meant to be together. :o) And this looks wondermous! l’ll have to test it on my family at our Thanksgiving/Christmas combo get-together. Peanut butter and chocolate…. plus creativity! Love this recipe … it looks so delicious! The pie look’s great. With the images it as if you could reach out and grab a piece to eat right now. But I can’t..drabs..guess I’ll have to make me one. I will be following your blog. It’s like a rainbow right now on my monitor. Your set up is fantastic. I would like to invite you to view savorthefood.wordpress.com . If you wish sign up to receive future posts, it’s FREE. Let’s enjoy the culinary experience together. Thanks again for sharing this recipe and your posts. Can never go wrong with peanut butter!